Priscilla Chan probably knows that she is going to be watched. What she may not know is that it won’t be the paparazzi alone who will be watching her closely. No sooner did Chan get married to the most famous social media icon and gain an “M.D.” after her name than did Twitter go abuzz with anticipatory murmuring. (Read here and here). While the tabloids and major “news” outlets pondered the presence of a prenup, physicians on Twitter – an already selectively progressive sort – have been pinning high hopes and expectations on this new graduate. Priscilla Chan has the potential to be one of the country’s most influential doctors. It would seem – by reading the tweets – that with the Chan-Zuckerberg marriage announcement, a new potentiality was born. Doctors who currently utilize social media (myself included) have been trying to change the face of medicine and doctoring to something more human, more “social,” and more impactful. Unsurprising, then, is this sense of excitement among them regarding the joining of the human embodiments of the very two fields they themselves have been trying to marry – medicine and social media. The potentiality of innovation is also a present reality and does not require marriage or a legal document (except in the form of HIPAA paperwork, at the moment) to exist. The etched portrait of the traditional physician, though on a steadfast rock, is weathering with the winds of time and the tides of social change. And with this transformation, creative medical minds have discovered more freedom to innovate and collaborate. This can be observed when following the work of forward thinkers (like Bryan Vartabedian or Eric Topol), bright minds (Mike Moore or recent med school grad, Aaron Stupple), innovative practitioners (Wendy Sue Swanson and Howard Luks), and dedicated academic clinicians (Vinny Arora, Ryan Madanick, and Katherine Chretien). What we hope from the newly married, newly minted Dr. Priscilla Chan and her generation of doctors should be no more than what we hope to aspire as physicians currently practicing in the medical field. Hard as it may be, we need to keep our eyes and minds open and complacency out. Admittedly, I, too, am curious what further contributions Chan will make to the fields of social media and medicine. But I don’t want to pressure her just yet. As I remember it, internship is hard enough. The particular quote in my blog, which could be differently worded in retrospect as I see it in this context, was referencing a hope that all of us – current physicians and medical trainees – would think big and outside of the box about the impact we can make with the resources we have. We should expect just as much out of our own abilities as we do from her. We may not be able to deliver on quite the scale she can, but I think we – as busy physicians – underestimate our ability to innovate and influence. I am quite sure, in fact, that Dr. Chan will be influential in the coming years. And it will be exciting to see. Is There Pressure to be Informed? Interested in the human side of technology. 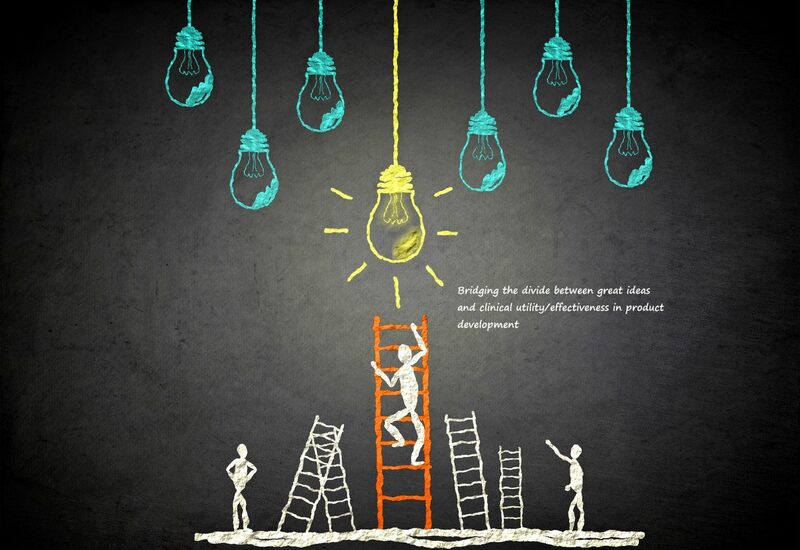 Bridging the divide between great ideas and clinical utility/effectiveness in product development.